Is anything more iconic or versatile than the little black dress? Gayle Strege, curator of Ohio State University’s Historic Costume & Textiles Collection doesn’t think so. 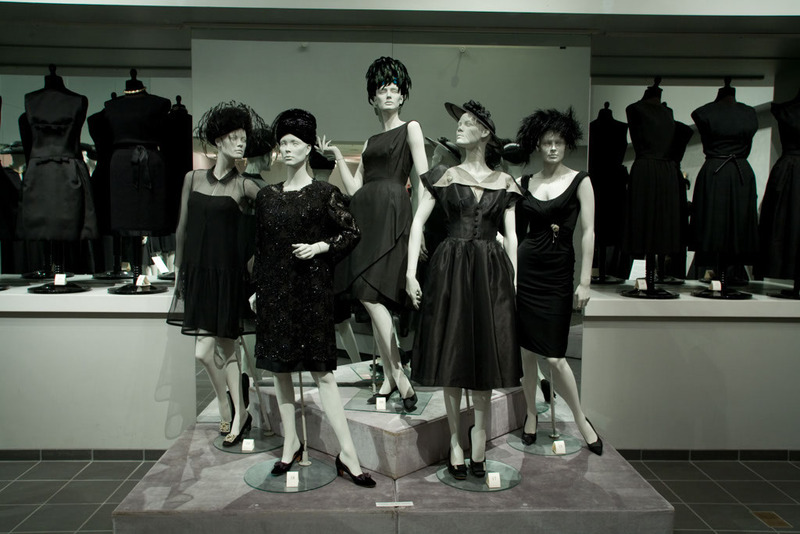 Beginning October 19, sixty of the collection’s little black dresses will be on display through May 10, 2008. Located on campus in Campbell Hall’s Geraldine Schottenstein Wing at 1787 Neil Avenue, it’s a convenient stop for students and visitors alike. The little black dress is not as simple as its name implies. How can it be when it ruined the reputation of Madame X on the one hand, and elevated Audrey Hepburn’s star status on the other? 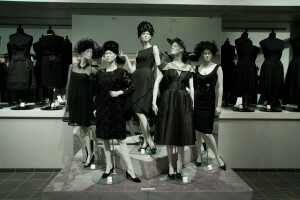 The Little Black Dress exhibition illustrates its namesake’s many facets from its beginnings in the late 1920’s through the end of the 20th century. Dresses range from the classy and eternal cocktail dresses from the 50’s and 60’s to the funky styles of the days of disco. Classic pieces that echo the timeless sentiments of Audrey Hepburn in Sabrina and Breakfast at Tiffany’s are featured alongside eclectic pieces, such as the dress featuring a design of the Eiffel Tower fashioned from silver buttons by Patrick Kelly, the first African American to show in Paris. Many of these dresses are created by some of fashion’s most well-known and respected names including Christian Dior, Oscar de la Renta, Calvin Klein, and Chanel, the designer credited with “inventing” the little black dress. Two are creations from the minds of Irene Lentz Gibbons and Gilbert Adrian who made their reputations designing for MGM in Hollywood’s golden years. Still, others are amazing examples of the beautiful work among the legions of unnamed designers who worked in the industry during the middle of the 20th century. This exhibition explores the many facets of the little black dress. However, as trends and styles change through the years, one thing remains constant. The little black dress will always be essential in any woman’s wardrobe.